Have you ever had one of those days where the kids needed something to do to and they were whining and complaining of boredom? That’s where this balloon science experiment can save the day. My kids didn’t know it, but they were learning some science concepts while they were having fun with balloons. In my book, that’s the best kind of learning! 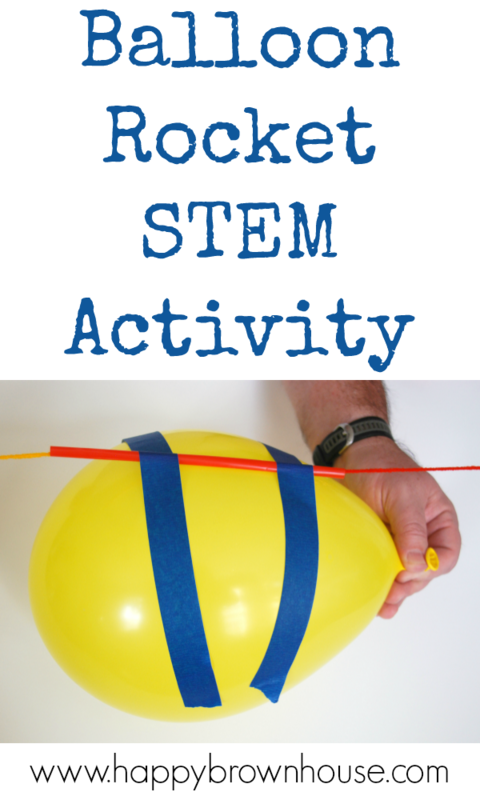 You’ll love this Balloon Rocket Stem Activity for Kids. 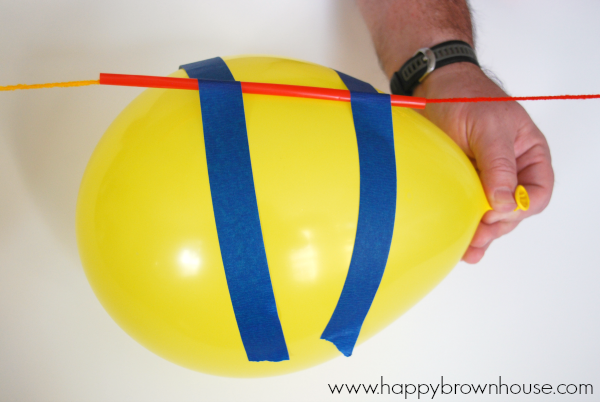 This simple balloon science activity is simple to set up and you only need a few supplies to make it happen. Score! To begin, we tied one end of the yarn to the back of one of our chairs. Next, we threaded the drinking straw onto the other end of the yarn and tied that end to the other chair. We placed the chairs apart from each other until the yarn was stretched all the way out. After attaching two strips of tape to the drinking straw, it was time to get the party started. We inflated the balloon (leaving the end untied), held onto the opening so the air wouldn’t escape, and carefully attached it to the straw using the tape. Finally, we pulled the balloon to one end of the yarn (touching a chair), and let go of it. The balloon shot across the string and made my boys squeal with excitement. This activity helps kids understand that to make an object move one way a force has to work in the opposite direction (action and reaction). In this case, the balloon is full of air. When you let go of the balloon the air rushes out of the opening creating a pushing force in the opposite direction. This causes the balloon to move across the yarn. 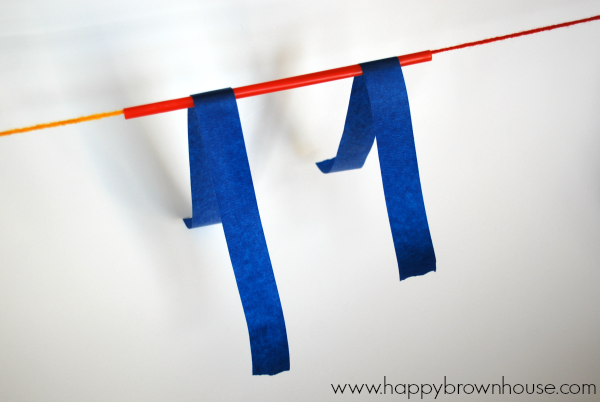 I promise your kids will love this activity as much as mine did. I mean, who doesn’t love balloons? Am I right? My boys wanted to do this over and over and it kept them busy for quite a while. It was loads of fun for everyone.